There has to be a balance somewhere-a sense of reason-in the way we approach animal protection issues nationally. So often, those of us who are determined to protect animals from cruelty, suffering, and neglect are accused of exaggerating the problems, of "making a mountain out of a molehill," and trying to take away Americans' freedom to exploit animals for entertainment, food, clothing, or sport. But, what if we really are acting with due caution? What if we are trying to protect animals and people from unnecessary misery, pain, and distress? 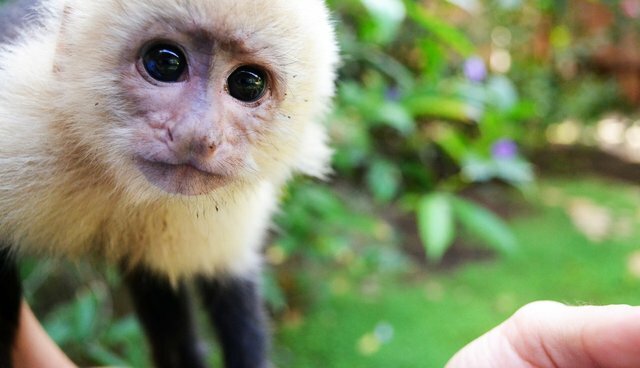 Last week, a woman's pet monkey was seized after the capuchin bit someone at a California pizzeria's parking lot. Two other monkeys were impounded, pending proof of the legal permits to have the animals. There is no justification for anyone in America owning a pet monkey. It's not good for the animals, and it's not good for people. Maybe this bite did not result in hospitalization or massive harm... but it could have. It could have happened to a child or an infant. It could have been a chimpanzee, not a capuchin, and resulted in the next Charla Nash incident. We know that it can happen; so, why isn't more done to prevent such horrors? The U.S. Congress now has another opportunity to pass the Captive Primate Safety Act: narrowly-crafted legislation to stop the trade in primates as pets. To some, this bill doesn't rise to the level of a national priority; it doesn't solve the strife in Gaza, the Ukraine, or anywhere else in the world. But, it does solve a problem, and that should indeed be the business that the U.S. Congress is in-solving problems. America should lead. We should be conservation leaders, and we should be animal welfare leaders. This is but one opportunity for us to seize the position of compassionate leadership. I just returned from a week's vacation in Costa Rica, where I had the chance to see wild capuchins in Parque Nacional Palo Verde. My daughter, Mia, stood with me and watched them in the trees, a dozen or more, eating, lounging, and flying from branch to branch. This is where capuchins belong-not at a pizzeria parking lot in California. And, if a ten year old child understands that, so, too, should American lawmakers.